Whether you just made the jump into a new car or you’ve been behind the wheel of a vehicle that you love for years, routine maintenance and occasional repairs are the keys to keeping your ride running right as the miles fly by. At our Lawrence Honda service center, we’re here to help! We recognize that your schedule is a busy one and that coming in for service isn’t always at the top of your list. That’s why we aim to make things as convenient as possible with our inviting waiting area, accessible hours, and easy online appointment scheduling. On top of convenient service scheduling online, our Lawrence service center also offers Honda service coupons that are specifically chosen to help you tackle the key maintenance and repairs that you rely on. These valuable opportunities can help you to save on essential maintenance for your vehicle, helping to make service even easier on your schedule and on your wallet. 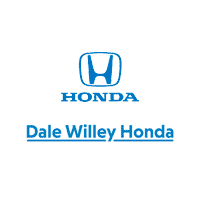 If your vehicle is due for maintenance, then don’t delay; schedule an appointment with the expert technicians at Dale Willey Honda today! We invite you to contact us by calling 785-843-0550 today to learn more.